Read the latest national and world news, including stories from Newsday's reporters in Washington, D.C. The company, one of the ten largest pharmaceutical distributors in the U.S., agreed to reform its practices as part of a deferred prosecution agreement. Prosecutors portrayed fake German heiress Anna Sorokin as a profligate con artist, while her lawyer insisted she was an aspiring businesswomen taken in by New York's extravagance, as both sides wrapped up their arguments. 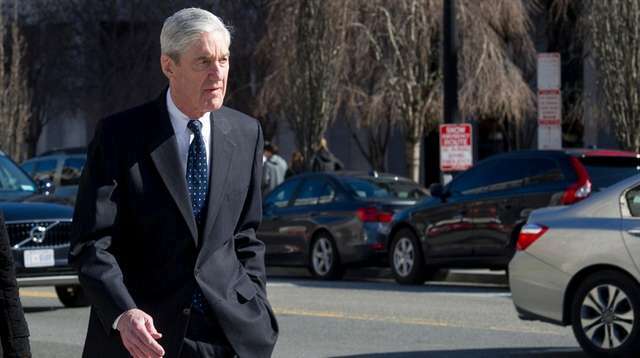 Here are a half-dozen noteworthy excerpts from special counsel Robert Mueller's report. The brothers, who say they helped the "Empire" actor stage an attack against himself, contend that the lawyers defamed them by continuing to insist publicly that the siblings carried out a real, bigoted attack on Smollett despite knowing that was untrue. Executive privilege may be harder to assert in preventing the ex-White House counsel and others from testifying in Congress because they were allowed to talk to Mueller's team. A group of about 40 meditate and take part in ceremonies to remember the hundreds killed and injured in the Easter Sunday attacks on churches, hotels, and other sites. In notes to federal judge, supporter of President Trump who mailed explosive devices to prominent Democrats, decries "liberal left" while expressing remorse. The award-winning film directed by Rachel Lears will debut on Netflix and in select theaters on May 1.